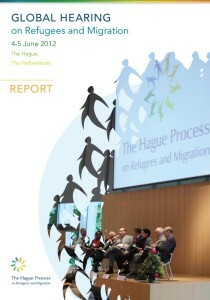 On 4 and 5 June 2012 over 200 people came together at The Hague Process Global Hearing on Refugees and Migration in The Hague, The Netherlands, to discuss pressing issues in refugee and migration policy. They came from over 60 different states and from all continents. National, regional and local government, business, the private sector, trade unions, cities, international organizations, NGOs, civil society, faith groups, academia, and the media were all represented. In plenary sessions and working groups, the participants identified challenges, discussed innovative solutions, and considered the full range of relevant actors and perspectives, focusing on five key themes: the impact of future demographic changes related to labour migration and refugees; political and social changes; the impact of the global economy; the urbanization of displaced people; and the impact of environmental and climate change on human mobility. The discussions encompassed internal and international migration and included asylum seekers, refugees, and internally displaced persons. IOM provides a thorough compilation of resources regarding climate change and its effect on migration patterns. Throughout history, people have moved to adjust to changes in their environment, but more recently climate change and its impacts have sparked renewed interest among academics and the international community in the relationship between migration, the environment and climate change. This bibliography is the first comprehensive collection of resources which specifically concentrates on migration, the environment and climate change. Books, journals, scientific papers, case studies and reports are all included, which are useful for those who want an introduction to this topic and also for those requiring more detailed resources in specific areas of the migration–environment nexus. 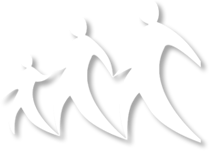 The bibliography has various subheadings to make it user-friendly. The CLIMIG database was compiled at the Institute of Geography of the University of Neuchatel (Switzerland). 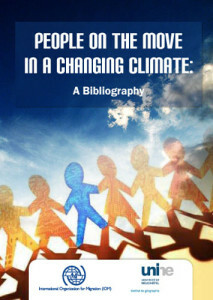 This bibliography will soon be followed by a book entitled People on the Move in a Changing Climate (Springer and IOM). In cities across the world, businesses are often not finding the skilled labor they need. This does not mean that skilled individuals are not present in these cities. In metropolises on every continent highly skilled migrant laborers are unable to connect with the companies in need of their services and vice-versa. Cities of Migration’s New Report provides a good start to relevant policies and municipal leaders. For our first blog discussion on our new and improved website we would like to pose the following questions: What are the fundamental strategies that cities and businesses need to employ in order to connect with the skilled labor migrant workforce to the benefit of each party? What are the best practices for migrant labor integration you have witnessed in cities around the world? Is there currently a forum in major cities that successfully integrates the municipal and business leadership with the goal of successfully incorporating migrant labor? 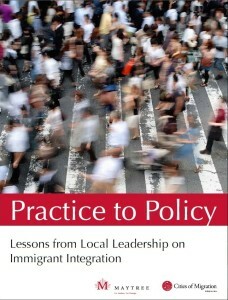 In Practice to Policy: Lessons from Local Leadership on Immigrant Integration, we look at what successful municipal practices can teach us about the impact of good policy and strong leadership. Four international experts contribute analysis and policy insights on the range of municipal levers available to promote both immigrants and city success. Practice to Policy highlights policy solutions that make sense in both local contexts and within the frameworks of national immigration strategies.